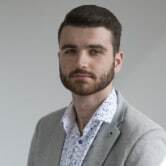 Speaking to AdNews at the event, Prosser also revealed that the team was now 90% filled, with the remaining roles sitting at the junior level, adding that the Ten in-house sales team will roughly be a 50/50 split, made up of ex-MCN employees and new hires. He says despite the official start date for the team being 1 January, he expected the team to be "in office and operating" by 17 December. "What we've tried to build is a culture with expertise and different skillsets as if we picked up everyone at MCN and put them at Ten we wouldn't kind of be doing anything new," he says. "The reality for us is it's a once in a lifetime business decision." Roughly 50% of MCN's general sales managers will be joining the team, however, it will vary by market, with some states leaning more heavily on new hires. Prosser says the new team will also feature a strong influence from its new parent company CBS, with the launch of its new sales team, CBS Interactive, which will work heavily with the broader Ten team to integrate a data-based sales strategy into the business. "The reason why we need CBS interactive is that we've adopted a strategy whereby we are tapping into all of the systems they currently use in the US, data stacks, as well as its buying and tech innovations," he says. According to Prosser, the sales team will use the new CBS Interactive capabilities to increase its data-based sales locally across the Tenplay platform, now known as 10Play. He says it's "time to accelerate" the work that the network does in this space, admitting that Ten, in the past, has been late to ramp up its addressable advertising offering, noting "that all changes now". 10Play currently has three million unique user IDs using the catch-up video platform and while Ten declined to comment on the exact number it is looking to reach in 2019, Prosser says the network has "lofty expectations". "Our focus is absolutely now to build out our data capabilities. We were late to the data party for various and obvious reasons but the reality is sometimes it's not so bad to be late to the party because you can learn from the lessons that the people who already are at the party have gone through," Prosser says. "The fact that we've only been member-gating since April and we've got three million is pretty strong and that's because our audience is much more socially engaged and much more willing to subscribe and hand over their data, so of course we will be pushing for more of the same in 2019." Discussing Pilot Week, Prosser says the key piece of the puzzle is having the right strategy, which means launching the initiative into market earlier than it did in 2018. Pilot Week featured eight original pilots of domestically-produced television programs, which were to be commissioned based on ratings, viewer sentiment and other digital metrics. Prosser says one of the key issues from this year, which won't plague Pilot Week in 2019, was advertisers "not knowing" exactly what the strategy was and how to get the most out of the week. A lot of advertisers didn't really understand it, they didn't understand that you bought into the week, not the shows specifically," he says. "Of course, things like integrations are really hard to execute because you can't guarantee it will get through, so the key to Pilot Week is getting brands on-board for the entire week, rather than trying to sell them on a single show." 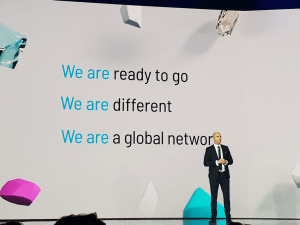 Ten chief sales officer Rod Prosser has ushered in a new era of ad sales at Ten, stating at its recent upfronts event that "we're back, different and ready to go", following the network's split from long-time sales house MCN.